Reduced to clear simply because the product is short-dated or past its best before date! Best before date on this product is 14th December 2018 but product can STILL be safely consumed after this date. ENJOY! Wholesome. Tasty. Exciting. 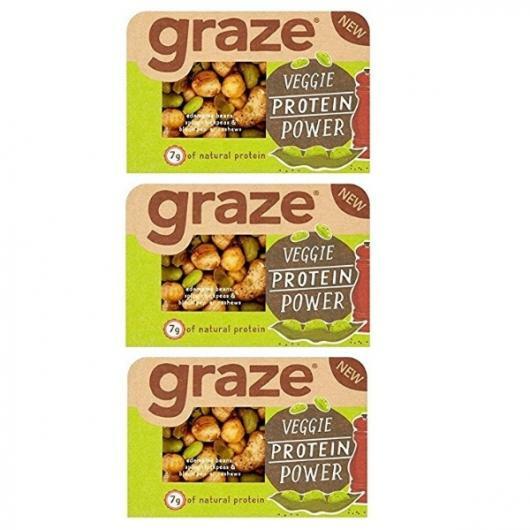 Three words that perfectly describe Graze’s stunning Veggie Protein Power Nuts! This selection of nuts is one of the purest snacks you could possibly munch, and is a fantastic source of many a good thing including essential vitamins and minerals to keep your bod in tip top shape. 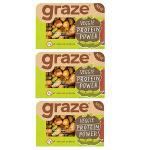 Each punnet is even suitable for vegans - boom! So, next time you feel the mid-morning tummy rumbles sneaking up on you, don’t choose a sugar laden bicky, opt for this healthy snack to re-energise and refuel until lunch. Not a huge amount of flavor but still good. Ideal any time of day as a super tasty snack. Store in a cool, dry place.